For almost 20 years, we have been making an impact on the lives of adoptive families, working together to overcome obstacles and address behavioral challenges. We are committed to supporting families who are long their adoption journey to identify and manage threats to permanency. This may include counseling and other supports to address the experiences the children have had with abuse, abandonment, neglect and other challenges to attachment. Since its inception, The Sylvia Thomas Center for Adoptive and Foster Families and its volunteers have touched the lives of over 6,000 children and families. Over 300 children have received intensive case management services including family and individual therapy. Our ultimate goal is to help families remain intact. The Sylvia Thomas Center keeps the “forever” in forever families by providing adoptive and foster children and families the necessary tools and supports to enable them to bond and thrive. To reach ALL adoptive families living in Hillsborough County – international, private, foster, and relative adoptions. To maintain a safe environment for foster and adoptive families to come together to grow and heal. To provide ongoing training to families and professionals in our community that is adoption competent. To connect foster and adoptive families with the adoption competent services they need to be successful. 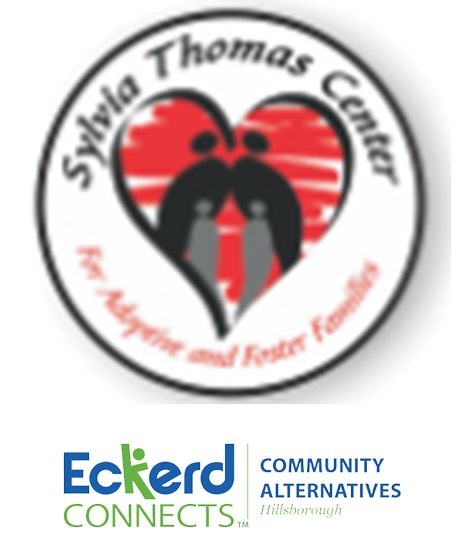 The Sylvia Thomas Center for Adoptive and Foster Families (STC) was established in 2000 in honor of Sylvia Thomas. STC is a nonprofit 501(c)(3) organization devoted to serving the needs of adoptive and foster families in Hillsborough County. Sylvia Thomas was a trailblazer among child welfare professionals in Hillsborough County, Florida. Dedicated to families, she championed the need to ensure permanency in family relationships for the adoptive and foster families in her charge. Sylvia tirelessly worked in her community to help dependent and displaced children and their families overcome obstacles, evolve together, and grow as a family should. Sylvia made herself available to families as a listener, supporter, assistant, and advisor. She solved everyday challenges that adoptive and foster families and children face. Following her untimely death in 2000, friends and colleagues chose to honor her memory by creating a safe place for adoptive and foster families to share their struggles and their successes. From the vision, the Sylvia Thomas Center was born. As a 501(c)(3) organization, STC continues to operate free of charge to families by receiving funding from Eckerd Connects – Hillsborough (our local community-based care lead agency), corporate foundations, civic organizations, and private donors and volunteers.